I've mentioned a couple of times before that Fragrance Direct is one of my favourite online beauty retailers. They are well known for their fantastically priced Essie nail polishes which everyone was hyping about during the summer, of which I gave into temptation and picked up a few for myself (see my haul post HERE). 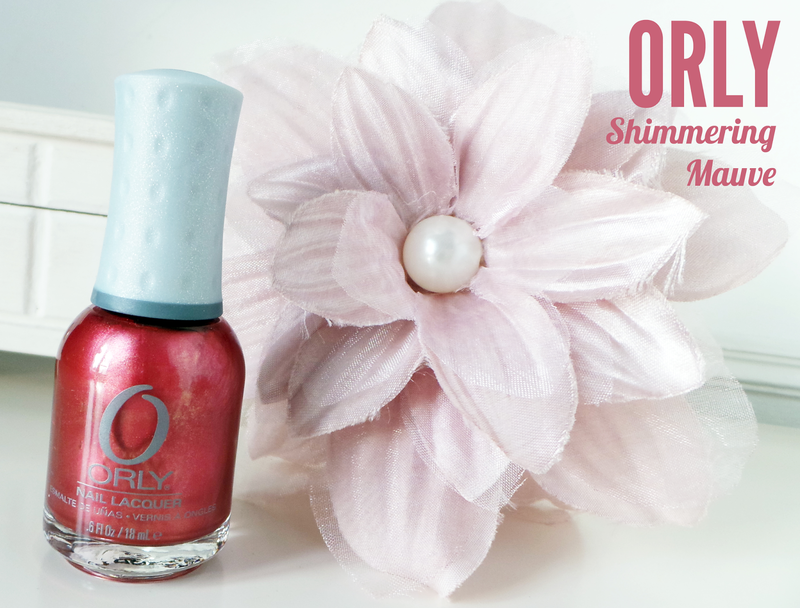 So I was delighted when I received an email letting me know that ORLY nail lacquers have now arrived at Fragrance Direct! First up is ORLY Shimmering Mauve*. I'd describe this as the most beautiful metallic rosy pink shade with silver and golden undertones, which in certain lights makes the polish appear much lighter and peachier than it actually is. This is the perfect nail colour for the festive season and I'll definitely be getting my fair share of wear time out of it this coming month. I was really surprised at how opaque this polish is, the swatch above is taken after just one coat. The formula applies smoothly and almost streak-free (unlike other metallic's I've tried) Overall this is a great all rounder, it's quite a muted and elegant shade which could be worn for any occasion or even just for a day at the office! 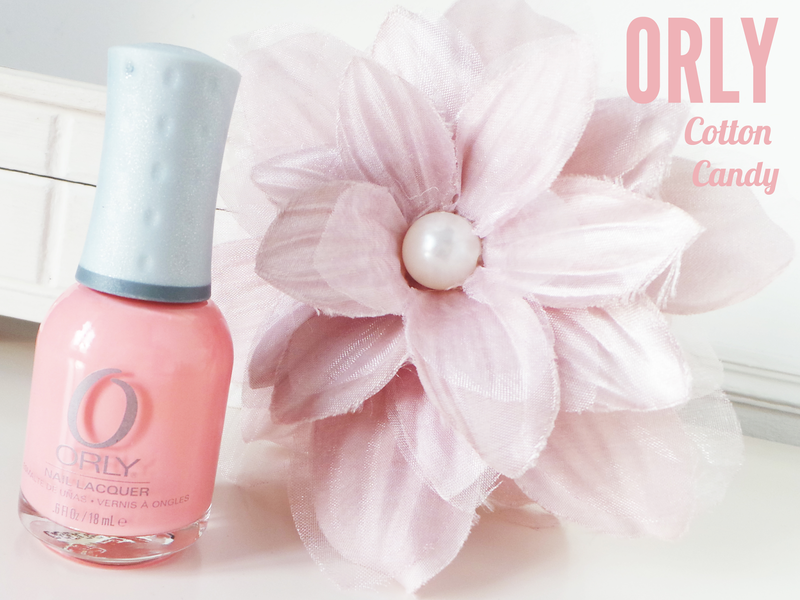 The second shade is ORLY Cotton Candy* which is a baby pink pastel shade. I love pastel polishes in particular because they are so wearable all year through! This shade is so pretty, and it has a solid creamy finish without any shimmer. The effect isn't too glossy either, which makes it a great natural looking polish. Cotton Candy did take around 3 think coats to get the above effect, but again, it applied smoothly and dried well. 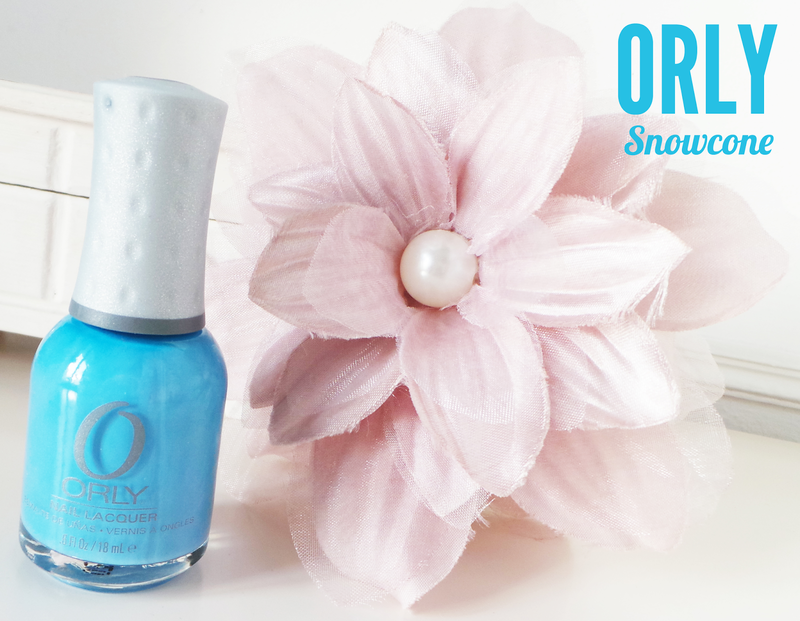 Next up is ORLY Snowcone* is a cornflower blue shade, quite similar to Essie's Bikini So Teeny! I absolutely adore this shade, and I can see me getting so much wear out of this in years to come. I used two coats for this, however I think one reasonably thick coat would have done just fine as its so opaque. Again, like Cotton Candy, this is a solid creme finish without any shimmer/glitter pieces. Personally I'd class this as a summery shade, despite the winter-y name of snowcone... But, each to their own! Finally I have ORLY Love Each Other*. I was expecting to love this shade when I first saw it in the bottle, however the specs of shimmer are so tiny, they barely show up on anything other than a dark navy/black base! I tried to swatch this polish alone, but my camera wouldn't pick anything up. So I painted my nails with two coats of Beauty UK's black nail polish, before coating with one layer of Love Each Other. As you can see it adds a glossy, almost jelly-like effect and you can see the beautiful lilac glitter specs! Perfect for adding a subtle sparkle to your ordinary dark coloured polishes! The polishes I have tried come with wide span brushes and also have a rubber easy-grip lid, making application super quick and easy! I will mention that ORLY Nail Lacquers are free from harmful additives such as DBP and Formaldehyde. Overall I'm really impressed with the quality of these polishes and will certainly be looking to pick up a couple more in the near future before they sell out! There are over 40 different shades now stocked at Fragrance Direct, so there are a variety of colours and effects to choose from. Snowcone is lovely as is the glitter one. I have rage and I can't believe how big the bottles are. snowcone is such a pretty colour!